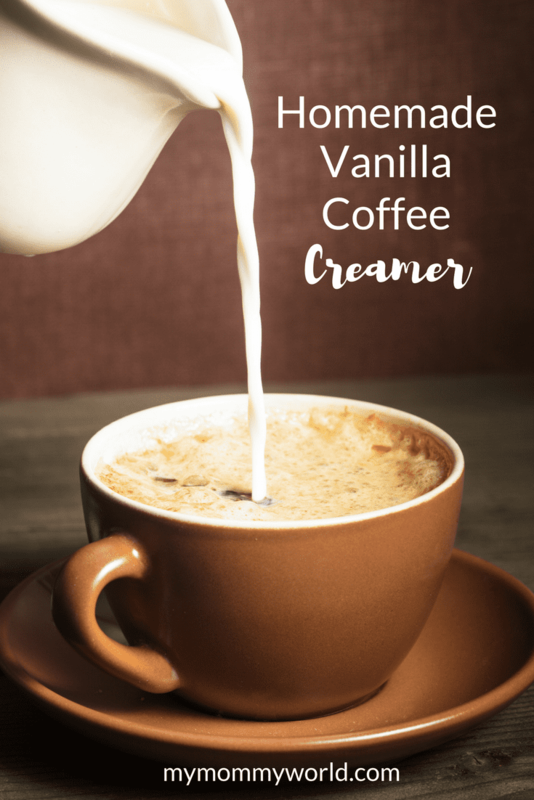 Here’s a quick and easy recipe for Homemade Vanilla Coffee Creamer that I know you will just love! The best part, other than being delicious, is that you probably already have all of the ingredients for it on hand. I originally found this recipe on Pinterest, and made a slight tweak. Although this particular recipe calls for vanilla, you could definitely use the base recipe to make different flavors just by using a different extract. The thing that I love best about this creamer is that there are no artificial ingredients inside…no preservatives or fillers. You can also control the amount of sugar you add, making it as sweet as you’d like. Some of the store bought sweetened creamers have so much sugar inside that they can really mask the taste of the coffee! To make this homemade creamer, just pour sweetened condensed milk, milk (skim or 1% work well, but you can use any kind), sugar and vanilla extract into a container, and shake to combine. It’s that easy! Pour the ingredients into a jar or container and shake until well mixed. Store in the refrigerator. Hope this helps you enjoy your morning coffee! This looks like a great recipe, Erin. I may have to make up a batch the next time my mom-in-law comes as she likes to have creamer in her coffee and then I could sent it home with her. Thanks for sharing the recipe. Yum! Looks delicious, Erin. 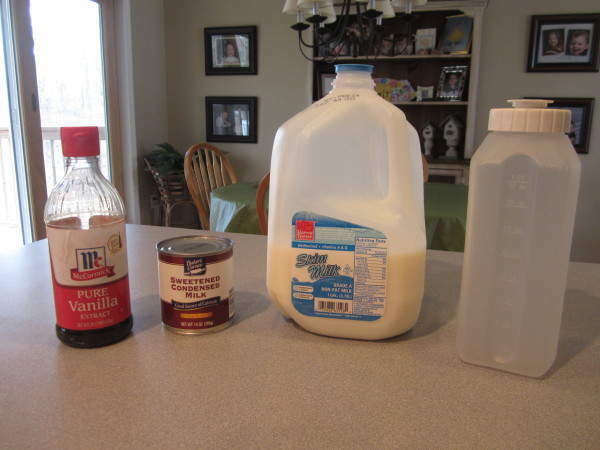 I’m a huge coffee lover and this creamer looks super simple to make. Thanks for sharing the recipe. 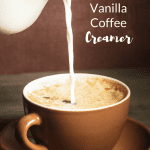 I love vanilla creamer and being able to make my own would save some money and it’s healthier, too! Stopping by from Blogging with Amy’s Facebook page. I’m now following you on Pinterest & I’d love a follow back! Yum great recipe, although I don’t really drink coffee but I know a lot of people who do – they would love this! Thanks for stopping by Kammie! Sounds great April! Thanks so much for visiting 🙂 Make sure to come back and let us know how your almond milk version turns out!